Reagents and instruments for immunology, cell biology and molecular biology. DNA polymerase is responsible for the process of DNA replication, during which a double-stranded DNA molecule is copied into two identical DNA molecules. DNA polymerase “reads” the existing DNA strands to create two new strands that match the existing ones. DNA polymerase adds new free nucleotides to the 3' end of the newly-forming strand, elongating it in a 5' to 3' direction. However, DNA polymerase cannot begin the formation of this new chain on its own and can only add nucleotides to a pre-existing 3'-OH group. A primer is therefore needed, at which nucleotides can be added. 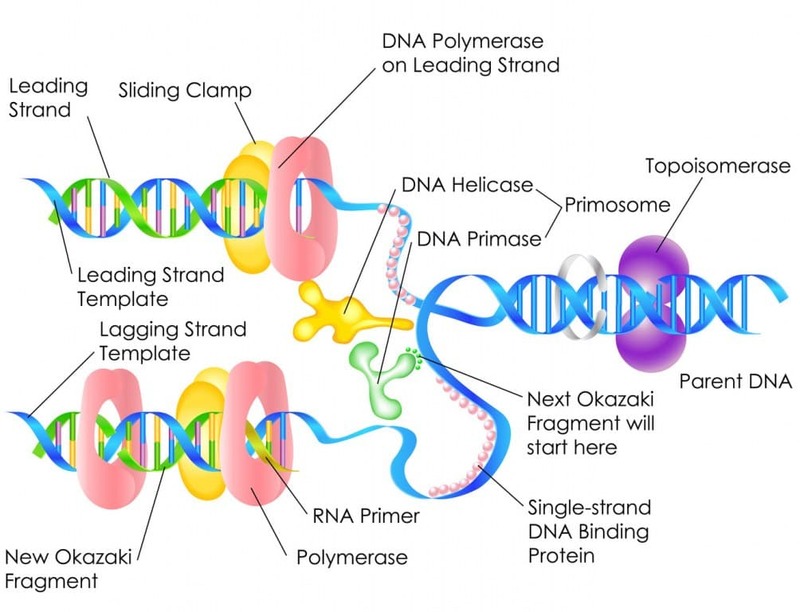 Primers are usually composed of RNA and DNA bases and the first two bases are always RNA. These primers are made by another enzyme called primase. Although the function of DNA polymerase is highly accurate, a mistake is made for about one in every billion base pairs copied. The DNA is therefore “proofread” by DNA polymerase after it has been copied so that misplaced base pairs can be corrected. This preserves the integrity of the original DNA strand that is passed onto the daughter cells. DNA polymerase is an essential component for PCR due to its key role in synthesizing new DNA strands.